Beyond a Steel Sky will again be heavily story-focused, but there’s a deeper focus on sandbox play where you can interact with and subvert with the world’s machinations to build emergent solutions to the puzzles in your way. The early info puts a big emphasis on AI tech – just as the original game did all those decades ago. You can get a very brief look at gameplay through the opening minute of the Apple Arcade trailer below. If you haven’t previously played Beneath a Steel Sky, you don’t have much excuse. It’s been free for ages, whether conveniently packaged on GOG or provided as a standalone download through projects like ScummVM. 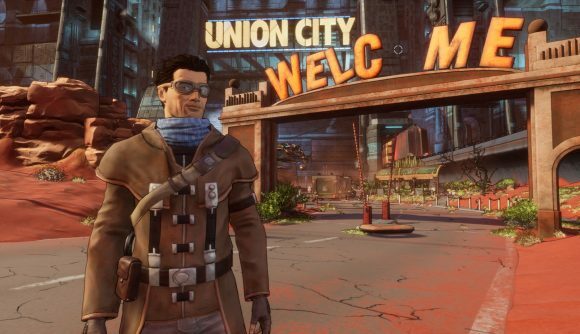 The popularity of Beneath a Steel Sky may come more from its free release than its original launch at this point, but the cyberpunk world it detailed has rightly been canonised among the point-and-click classics. The new game is pursuing a somewhat different format, but it looks like it’ll keep the classic spirit alive.